There has been exponential increase in the number of medications demonstrated to be effective for the treatment of anxiety and anxiety disorders. Beginning in the late 19 the century, there was a progression from alcohol, bromides and opiates to barbiturates developed in the early 20th century. Barbiturates were effective in decreasing anxiety, but they were addictive in and lethal in overdose. There was continued advancement in the development of anxiolytics like meprobmate and the antihistamine hydroxyzine. The major advancement in the field of anxiolytics in the 1960 s was the development and approval of benzodiazepines. Also there was a cascade of anxiolytic research in the 1990 s.
Anti anxiety drugs are also called anxiolytcs and minor tranquilizers. They are used in the treatment of anxiety disorders, anxiety symptom, acute alcohol withdrawal, skeletal muscle spasms, convulsive disorders, status epileptics and preoperative sedation. Their use and efficacy for periods greater than 4 months have not been evaluated. Anti anxiety drugs depress the sub cortical levels of CNS, particularly the limbic system and reticular formation. They may potentiate the effect of powerful inhibitory neurotransmitter GABA in the brain thereby producing a calming effect. All levels of CNS depression can be affected ,from mild sedation to hypnosis to coma . Buspirone does not depress the CNS .Although its action is unknown , the drug is believed to produce the desired effects through interactions with serotonin, dopamine, and other neurotransmitter receptors. Barbiturates can be divided into 4 main groups. a) Long acting; Duration of action is more than 8 hours. Eg. Phenobarbital. b) Intermediate acting- duration of action is 5-8 hours. Eg; amobarbital and pentobarbital. c) Short acting- duration of action is 1-5 hours. Eg; secobarbital . d) Ultra short acting- duration of action is less than 1 hour. eg: thiopentone and methohexital. The barbiturates are no longer used commonly as anti-anxiety agents. They produce multiple side effects like excessive sedation, respiratory and circulatory depression, hepatic enzyme induction, dependence, withdrawal symptoms, rebound increase in REM sleep on withdrawal, and potential for use in suicide. These can be further divided into following categories. A) Carbamates-not used commonly because of potentials of abuse and dependence. Eg: meprobamate, tybamate and carisoprodol. B) Piperidinediones- this too use not used now due to dependence potential. Eg; gluethimide. C) Alcohols- these drugs are highly dependence producing . eg: ethanol, chloral hydrate, and ethchlorvynol. D) Quinazoline derivatives- eg;methaqualone. It had become a street drug or drug of abuse . So it was discontinued as an ant anxiety agent and a hypnotic. E) Anti-Histaminics-eg; diphenhydramine, hydroxycine, and promethazine. Diphenhydramine is usually combined with methaqualone or diazepam . They may be used as hypnotic-sedative , but their use as antianxiety agent is minimal and probably not effective. F) Cyclic ethers- Not used commonly as it is very effective and is dependency producing. G) Others- antipsychotic (eg; thioridazine) and antidepressants (eg: doxepine) are sometimes used for treatment of severe intractable anxiety. However they are not the drugs of first choice and should be used with discretion, when all other rugs have failed to benefit. H) Beta blockers- eg: propanolol. This is particularly effective in treatment of peripheral somatic manifestations of anxiety. It is also used as the drug of first choice of anticipatory anxiety and situational anxiety. Propanolol can be used either alone or along with benzidiazepines. The role of this in the treatment of psychic manifestations of anxiety is still in research. It is contraindicated in patients of bronchial asthma and cardiac conditions. 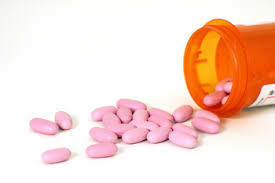 Since the discovery of chlordiazeopoxide in 1957 by Sternbach, benzodiazepines have replaced other anti-anxiety drugs. Presently benzodiazepines are the drugs of first choice in treatment of anxiety and for the treatment of insomnia. The benzodiazepines are thought to reduce anxiety because they are powerful potentiators (receptor agonists) of the inhibitory neurotransmitter GABA. A post synaptic receptor site specific for the benzodiazepine molecule is located next to GABA receptor. The BZ molecule and GABA bind to each other at the GABA receptor site. The result is an enhancement of the actions of GABA, resulting in an inhibition of neurotransmission (a decrease in the firing rate of neurons), resulting in a clinical decrease in the person’s level of anxiety. The benzodiazepines are classified according to their elimination half lives. The indications for the use oef benzodiazepines are as follows. Generalized anxiety disorder, adjustment disorder with anxious mood. Agitated depression, (added to antidepressants for first 1-2 week); alprazolam probably has an antidepressant effect. Stage 4 NREM sleep disorders like enuresis, somnambulism, (diazepam reduces duration of stage 4 NREM sleep). Premedication in anaesthesia (intravenous lorazepam, midazolam or diazepam). Anticonvulsant use (drugs of choice for status epilepticus, myoclonic seizures, and certain infantile spasms). Treatment of alcohol and other drug withdrawal syndromes. Ffor minor surgical, endoscopic or obstetric procedures. Whenever administered, benzodiazepines should not be ordinarily used for more than 6 weeks at one time. Otherwise the risk of dependence is high, and tolerance occurs. Exact mechanism of action of benzodiazepines is not clear. The recent discovery (1977) of benzodiazepine receptors has shed some light on the mode of action. There are presently 2 known benzodiazepine receptors. BDZ receptor 2, which is alone and is probably involved in cognition and motor control. Thus benzodiazepines probably act by enhancing GABA transmission in brain. Benzodiazepine receptor antagonists (eg: flumazenil) are anxiety provoking agents. The benzodiazepines have no significant clinical advantage over each other, although differences in half life can be clinically useful. For eg; patients with persistent high level of anxiety should take a drug with a long half life. Patients with fluctuating anxiety might do better with either a short acting drug or drug with a sustained release formulation ( alprazolam, chlorazepate , diazepam and adinazolam ) . Sustained release BZP blunt the peaks of toxicity and the troughs of symptom breakthrough and are becoming a popular alternative to the original formulations . In addition the lipid solubility of each BBZP determines the rapidity of onset and the intensity of effect, and this should be considered when selecting a BZP. FOR eg; the diazepam is more lipid soluble than lorazepam , thus is more readily move into and out of the central nervous system (CNS) .and is more extensively distributed toperipheral sites particularly to fat cells. The rate of absorption of different BZP from the gastrointestinal tract varies considerably, thus affecting this rapidity and intensity of onset of their acute effects. Antacids and food in the stomach slow down this process when these drugs are taken by mouth. The injectable BZP (lorazepam, and midazolam) have been proven reliable when administered in the deltoid muscle. Diazepam results in predictable and rapid rises in the blood level when used intravenously . Concentrations of BZP in the blood have not been firmly correlated to clinical effects, so blood level measurements are not clinically helpful. Some patients need to take anti anxiety drugs for extended periods. Because of the potential disadvantage of BZP, they should be always used along with nonpharmacological treatments for the patient with chronic anxiety or insomnia. Psychotherapy, behavioural technique, environmental changes, stress management, sleep hygiene, and an ongoing therapeutic relationship continue to be important in the treatment of anxiety disorders and insomnia. In general the treatment of BZP should be brief and used during a time of specific stress or for a specific indication. The patient should be observed frequently during the early days of treatment to assess target symptom response and monitor side effects so that the dose can be adjusted as needed. Some patients, such as those with [panic disorder, may require daily dosing and long term BZP treatment. The side effects are common, dose related, usually short term and almost always harmless. It include nausea, vomiting , weakness , epigastric pain , diarrhoea, vertigo, blurring of vision , body aches , urinary incontinence( rare), impotence., lassitude, sedation, increased reaction time ,ataxia ( in high doses ) , dry mouth retrograde amnesia ( rare) , impairment of driving skills , severe effects when administered with alcohol, irritability ( particularly with flurazepam and (chlordiazepoxide) , disinhibited behaviour ( particularly with diazepam ) . Tolerance can develop to the sedative effect of BZP which in some ways is an advantage , but is unclear whether tolerance also develop to induced sleep or antianxiety effects. These drugs should be tapered to minimize withdrawal symptoms and rebound symptoms of insomnia and antianxiety. If these symptoms occur the dose should be raised until symptoms are gone and then tapering is resumed at a slower rate. Withdrawal syndromes include agitation, anorexia, anxiety, autonomic arousal, dizziness, generalized seizures, hallucinations, headache, hyperactivity, insomnia, irritability, nausea and vomiting, sensitivity to light and sounds, tinnitus and tremulousness. Elderly patients are more vulnerable to side effects because the aging brain is more sensitive to sedatives, Dosing ranges from one-half to one-third of the usual daily dose used for adults. The BZP with no active metabolites are less affected by liver disease, the age of the patient, or drug interactions. BZP are more successfully used in children to treat sleep waking ,in single dose to allay anticipatory anxiety , and to treat panic , generalized anxiety disorder , and avoidant personality disorder but in general they can increase anxiety and produce or aggravate behaviour disorders ,especially ADHD. BZP during pregnancy have been associated rarely with palate malformations and intrauterine growth retardations especially when used during the first trimester. When used in late trimester or during breast feeding, these drugs are associated with floppy infant syndrome, neonatal withdrawal symptoms and poor sucking reflex. Hence they are not recommended. Buspirone is a new anti-anxiety drug which is not a BZP. It is an azaspirodecane –Dione (azaspirone) derivative and is 5 HT partial agonist and is a selective DA autoreceptor antagonist. It also inhibits the spontaneous firing of 5HT neurons. It does not seem to act upon BZPreceptors. It is anxioselective with no sedative action, no anticonvulsant or muscle relaxant properties. It is administered in a dose of 15-30 mg/day, in a thrice a daily schedule due to short half life. As it has a slower and more gradual onset of action, it usually takes about 2 weeks before the anti-anxiety effects of buspirone are evident .It is not useful in the treatment of panic disorder. The side effect includes dizziness, headache, light headedness and diarrhoea. As it is anxioselective, and lack any risk of dependence, it may replace the BZP as the drug of choice in GAD. Zopiclone belongs to a new class of BZP drugs , the cyclopyrrolones. Cyclopyrrolone derivatives also act on the GABA receptors, but at a site distinct from that of BZP. Zopiclone has a short duration of action as well as shorter onset. After oral administration it is observed rapidly, with peak plasma concentration occurring in about 60 minute. The elimination half life is 4-6 hours. The usual dose of zopiclone is 3.75-7.5 mg at bedtime ( lower dose in elderly and in patients with severe hepatic failure) . The side effects include bitter taste, dry mouth, drowsiness, nausea and headache. Its safety in pregnancy, lactation and in children are not proven. It is clinically superior to BZP in subjective awakening quality, well being and attention span in the morning. It is an imidazopyridine derivative which I being marketed as a hypnotic. It is administered in a dose of 5-10 mg for hypnotic use. It has a half life of 2-3 hours; therefore it is useful in the treatment of difficulty in initiation of sleep. The side effects include drowsiness, dizziness, headache, depression, nausea, dry mouth and myalgia.It should not be used for more than 2 weeks at one time. Its safety in pregnancy, lactation and children is not proven. Zalpelon is an pyrazylo-pyramidine derivative which is being marketed as a hypnotic. Although a non BZP drug it acts on the omega -1 BZP receptor located on the alpha sub unit of the GABA –A receptor complex ( causing sedation ) , with very little effect on omega 2 and omega 3 receptors. Side effects include headache, drowsiness, dizziness nausea and myalgia . It should not be used for more than 1 week at a time .Its safety in pregnancy, children and lactation are not proven. Risk for injury related to seizures; panic anxiety, abrupt withdrawal after long term use, effects of intoxication and overdose. Risk for activity intolerance related to side effects of sedation and lethargy. Risk for acute confusion related to action of the medication on CNS. Gail W Stuart , Michele T Laraia. Principles and practice of Psychiatric Nursing .8th edn. Missouri. Mosby publications. 2005. Mary C Townsend. Psychiatric Mental Health Nursing . 5th edn. Philadelphia. FA D avis company. Niraj Ahuja. A Short Textbook of Psychiatry.5th edn. New Delhi.Jaypee publications .2002. Deborah Antai Otong.Psychiatric Nursing. Biological and Behavioural Concepts.U.S. North Texas Health Care System. 2003. Paul PD. Trends in the Pharmacologic Management of Insomnia.J Clin Psychiatry 2006; 67: suppl 13: 5-8. Milton KE. Influence of Pharmacokinetic profiles on safety and efficacy of Hypnotic medications.J of Clin Psychiatry. 2006; 67: suppl 13: 9-12.